Looking for concert information or tour dates? Do you have a question? Do you want to share your concert experience(s)? Do you have pictures you want to share? Tickets: Undergrad Students $32.00, Guests $63.00 (must be purchased by a student). 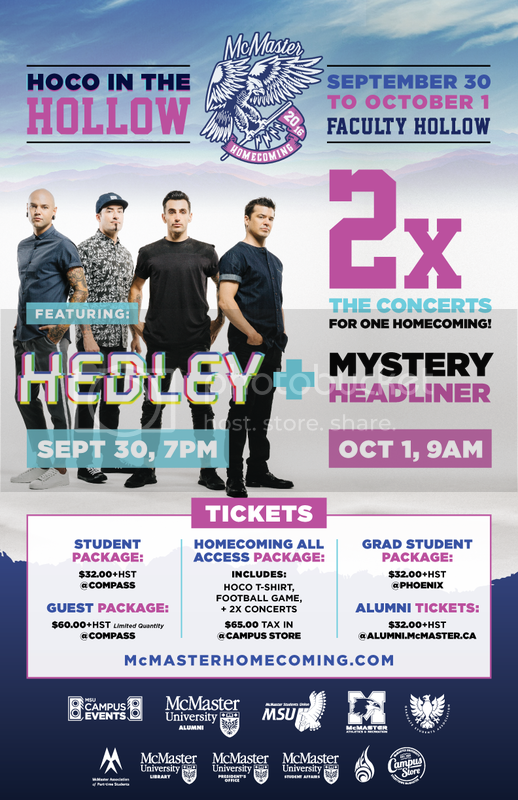 Tickets are for both the Hedley concert and the Mystery Guest concert happening at 9:00 a.m. October 1, 2016. An undergrad student can purchase only ONE guest ticket. Student ID required for purchase and entry. Gates open at 7:00 p.m.